The Law Office of James E. Lund, APC represents real property owners, sellers, buyers, real estate brokers, property managers, landlords, tenants, contractors, and design professionals. We negotiate and advise our clients on residential and commercial real estate purchases and sales, escrows, title policies, and funding documents. 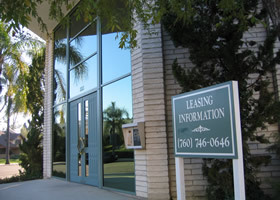 We prepare residential and commercial leases, lease assignments, and subleases. When there are landlord/tenant problems, we handle both sides of evictions. We have represented property managers with over a million square feet of leased commercial space, as well as owners of single rental units. We prepare trust deeds and advise our clients regarding foreclosures on those trust deeds and related disputes such as mechanic's liens and lis pendens. We advise and litigate easement, boundary and title disputes. We help our clients with all aspects of the development process including covenants, conditions and restrictions, landscape maintenance agreements, land use and zoning.